The state-funded project, named eRoadArlanda and costing about 50 million crowns ($5.82 million), uses a modified electric truck that moves cargo from Stockholm's Arlanda airport to Postnord's nearby logistics hub to test the technology. 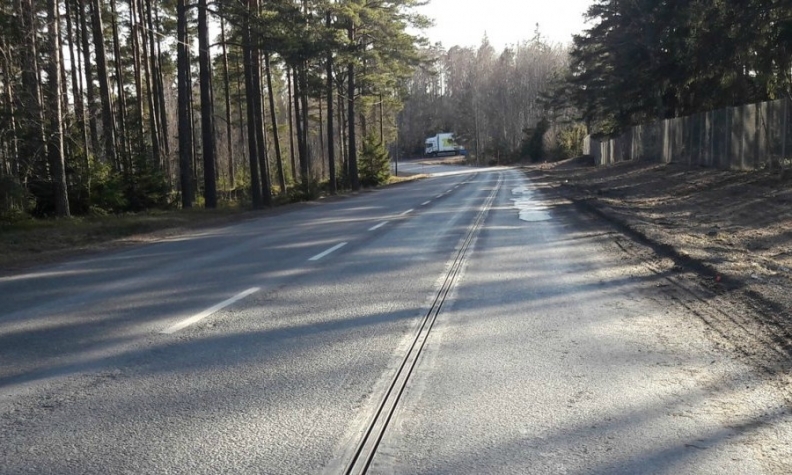 A electrified rail embedded in the tarmac of the 2-km-long (1.24 miles) road charges the truck automatically as it travels above it. A movable arm attached to the truck detects the rail's location in the road, and charging stops when the vehicle is overtaking or coming to a halt. The system also calculates the vehicle's energy consumption, which enables electricity costs to be debited per vehicle and user. Elways CEO Gunnar Asplund said the charging while driving would mean electric cars no longer need big batteries -- which can be half the cost of an electric car -- to ensure they have enough power to travel a useful distance. "The technology offers infinite range -- range anxiety disappears" he said. "Electrified roads will allow smaller batteries and can make electric cars even cheaper than fossil fuel ones." Asplund said the Swedish state, which is funding the project, was happy with the results so far, with the only issue -- now resolved -- having been dirt accumulating on the rail. "Such roads will allow (electric vehicles) to move long distances without big, costly and heavy batteries," said Markus Fischer, a Vattenfall spokesman, adding that installing the arm in new cars would be cheaper than retrofitting current models. "The investment cost per kilometer is estimated to be less than that of using overhead lines, as is the impact on the landscape," it added. Last year, Renault held an event to show that a similar solution, called dynamic wireless charging, could help eliminate range anxiety. Dynamic charging allows electric cars to be recharged from pads embedded in the roadway that wirelessly supply power to vehicles driving above them. However, it could be years before drivers will be able to use the technology, mainly because of cost limitations. A 2015 study by Highways England, the national road agency, estimated that it will cost 350,000 to 425,000 pounds ($450,000 to $550,000) to equip a kilometer of road with dynamic charging infrastructure. Renault has partnered with Qualcomm Technologies and Vedecom, a French research consortium, to develop dynamic charging. At the demonstration, Renault Kangoo car-derived vans modified with wireless charging components from Qualcomm navigated a 100-meter test track at speeds more than 100 kph (62 mph), receiving up to 20 kilowatts of power. The vehicles simulated lane changes, and made passes at different speeds and charge levels to show the flexibility of the system.